The word “best” is a superlative we probably hear far too often. These days it seems impossible to flip on the tv or drive through town and not see loads of businesses purporting to be the best at what they do. At Tim Leeper Roofing, the word “best” is not something we take lightly. We were recently awarded the National Roofing Contractor of the Year Award, and this is a point of pride for us, as we aim to be the very best roofing company we can be. When we provide the Nashville area with residential and commercial roofing services, we let professionalism, transparency, and excellence guide our work. From roof replacements to roof maintenance, we can do it all. In today’s blog, we are going to talk about some of these services and try to quantify what being the best means to us. 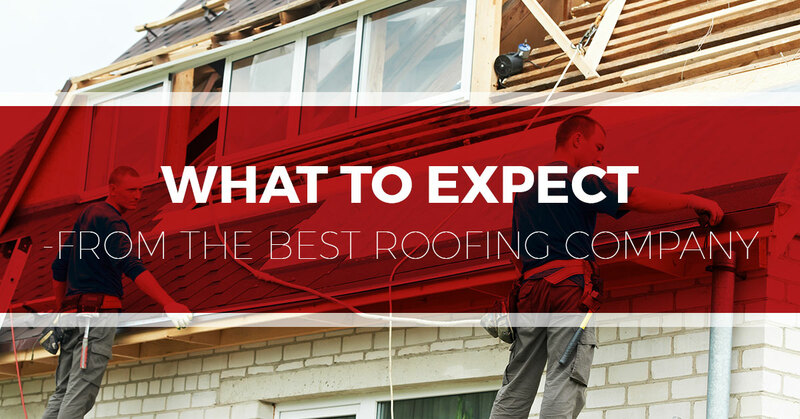 Here’s what you can expect from Nashville’s best roofers. One sure way to measure the quality of a roofing contractor is to look at how they respond to emergencies. How does your roofing company react when you call and say that a tree just fell on your home, and it looks as though it’s going to cause interior damage if action isn’t taken quickly? Whether the damage is caused by a summer storm or the blunt impact of a fallen branch or hail, how quick your roofing company responds to your needs can make all the difference. At Tim Leeper Roofing, we know the risk of not promptly repairing roofs, and it’s why we strive to respond to your needs as soon as weather conditions allow and our schedule permits. Not only do we strive to act quickly and be there for all your emergency roof repairs, but we will also walk you through the claims process and work with your insurance provider to expedite the process and get your roof back in working condition. Whether you need a roof replacement or some simple repairs, it’s nice to have options. An exceptional roofer won’t just limit you to one type of product from a single manufacturer. They will be able to give you options that meet your exact needs. At Leeper Roofing, we are strict proponents of this. In addition to offering an array of repairs—for chimneys, skylights, valleys, chimney caps, etc.—we also perform gutter repairs, gutter replacements, install leaf guards, and replace a wide array of sidings. Some roofing contractors routinely overcharge businesses and homeowners. They make them pay more for unnecessary additions, like paying extra for equipment that makes their jobs easier and that they would use for virtually every job. It’s these same roofers that will tack on numerous fees to the quoted price. At Tim Leeper Roofing, we believe that to be the best, you have to act with integrity, honesty, and transparency. When you come to us for a residential or commercial roofing quote, we will deliver an accurate and honest estimate and stand by it. Get your speedy fast quote today! Although this could probably go without saying, maintaining a professional relationship with homeowners is a vital part of being an exceptional roofer. This is why, at Tim Leeper, we not only make sure that all of our employees are trained to carry out high-quality roof installations and repairs but also that they take pride in their work. As we mentioned earlier, this pride guides our work. It’s what ensures that we are always thorough, dependable, and committed to keeping you safe and your roof’s looking nice. Another key component of professionalism for roofing contractors is their cleanliness. For us, this means keeping your house and yard clean and tidy during and after the job. Not only do we strive to leave a project site better than how we found it, but we also stay cognizant of how our roofing services affect your landscape and property. Next time you are looking for the best roofing contractor to handle your residential or commercial roofing project, keep this information in mind. Whether they are completing a roof inspection, roof replacement, or some basic roof maintenance, exceptional roofing contractors will be professional, dependable, transparent, and committed to providing you with the best work possible. Contact us today for more information or to get your free quote!